Nov 11, 2016 – The Philippines-Kurdistan Friendship Association protests the arrest and detention of party leaders and parliamentarians of the People’s Democratic Party (HDP) in Turkey and the raid of the party’s headquarters carried out by the AKP-led police in Ankara. This latest move to decapitate the HDP reveals that the state of emergency imposed in response to the failed NATO-backed coup in July against President Recep Tayyip Erdogan is rapidly transforming Turkey into a presidential dictatorship. HDP represents the third largest party in Turkey. It fights for the aspirations of the Kurdish people for self-determination, equality, democracy, and justice. 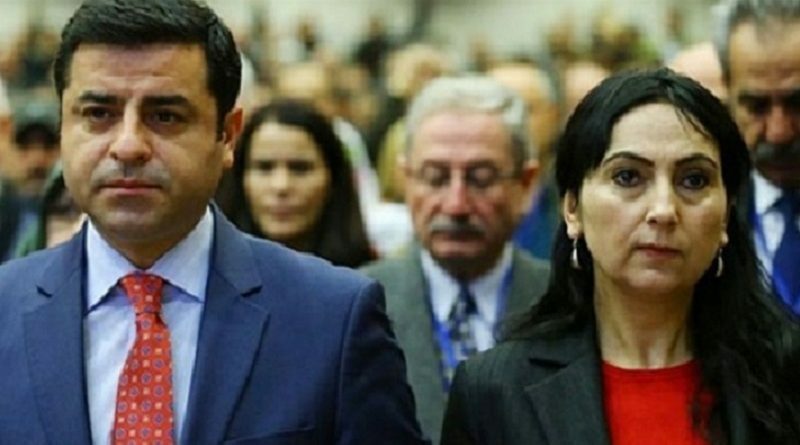 The HDP parliamentarians and party leaders represent the millions of people who have entrusted HDP in representing them in the Turkish parliament. The attack against HDP is tantamount to attacking the last living voice of democracy and foreclosing the prospects to peace in Turkey. The Erdogan regime’s crackdown against HDP goes hand in hand with its aggressive military intervention in Syria and Iraq in an attempt to obstruct the emergence of a separate Kurdish state along its southern border. At the same time as the raids against HDP in Ankara, Erdogan also attacked the free canton Afrin in Northern Syria which is part of the new Rojava federation that has developed into a real alternative for peace in a country that has suffered from civil war for over five years. Rojava today is a project initiated by the Kurdish peace movement and extends across the borders of several countries. It has established and strengthened itself based on principles of democracy, gender equality, and secularism. The movement in Syria that has distinguished itself in its resistance to ISIS is the same movement that Turkey brands as terrorists. HDP is the only party in the Turkish parliament that pursued the resumption of the peace process aborted by Erdoğan. Meanwhile, the US and EU have raised warnings about the accelerating collapse of Turkish parliamentary democracy. These statements reek of hypocrisy. Imperialist powers, up until recently, propped up the Erdogan regime by feeding its delusion of becoming a regional hegemon. In exchange, the ruling establishment in Ankara allowed itself to become imperialism’s running dog. It permitted NATO to use Turkey as a key transit point for opposition militias in Syria such as ISIS and Al Nusra Front. We recall that the US, EU, and NATO led the demonization campaign against Kurdish liberation movements by branding them as terrorist organizations. We reiterate the Filipino peoples’ solidarity with the Kurdish people’s struggle for freedom and democracy. We unite with all the people around the world who are holding mass demonstrations, issuing statements, organizing petitions, and similar actions to denounce this latest assault of the reactionary Erdogan regime against democracy and human rights in Turkey and Northern Kurdistan. Long live the solidarity between the Filipino and Kurdish people! ← ILPS-US : Support the Kurdish People’s Struggle for National Liberation!